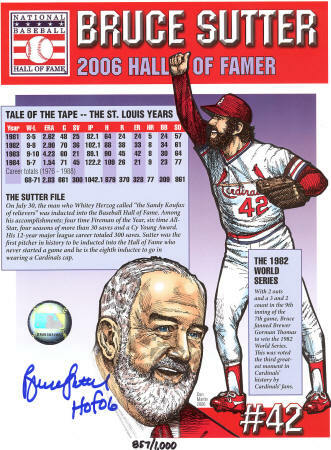 Bruce Sutter was the second pitcher to reach the 300-save mark and his 300 ranks him 11th all time; his lifetime 2.83 ERA is actually among the lowest for relievers with 300 or more saves. Bruce Sutter and Tommy Herr are both from Lancaster, PA.
Bruce Sutter was the winning pitcher in the 1978 & 1979 MLB All-Star game. 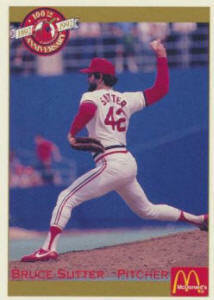 Bruce Sutter was the first Cardinals player to win the Rolaids Relief Man Award (1981). Also, won the award in 1982 and 1984. 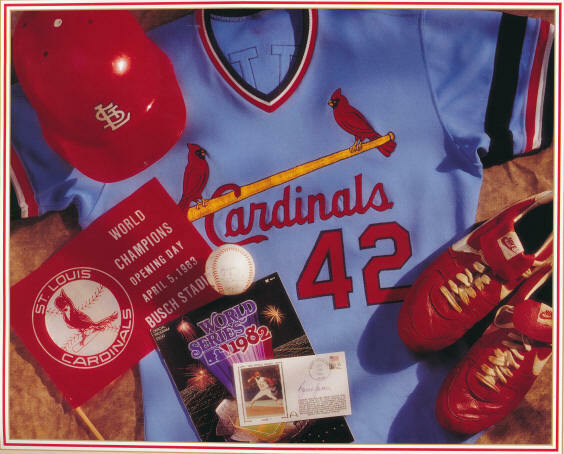 Led the NL in saves in 1981 (25), 1982 (36) and 1984 (45). Was the May 1977 NL Pitcher of the Month.